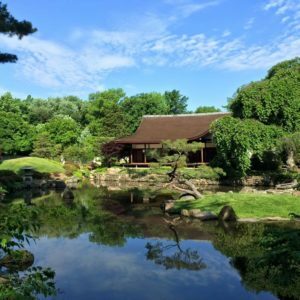 Come to Shofuso on Saturday, March 23 and Sunday, March 24 as we reopen for our 61st season in West Fairmount Park! Take in the spring blossoms, enjoy complimentary tours of our house and garden, and feed our koi. Admission to Shofuso is $12 for adults, $8 for youth 5-17, seniors, and students with college ID, and $2 for ACCESS card holders with up to four guests. Members, youth under 5, and military with ID and up to five guests are free. Tickets may be purchased at the door the day of admission!